Handyman was started with one purpose: to provide homeowners and tenants the assurance of knowing that the neat and courteous of Clean Touch Services representative at their door is capable of the repairs at hand and qualified to perform the job. Our representatives are tested for their areas of expertise and are dispatched to the specific jobs that match their qualifications. 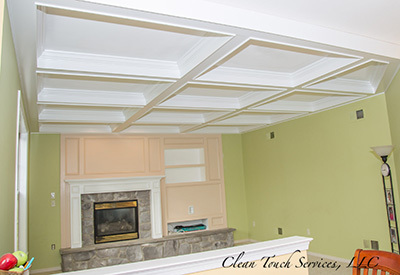 The Clean Touch Services representative will arrive with the proper tools and materials to complete the job as quickly and efficiently as possible. With more people riding out the current market conditions, many homeowners are choosing to improve current living conditions as opposed to extensive remodeling. 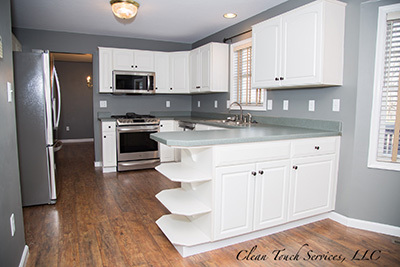 Simpler needs for minor upgrades and improvements can be handled by one of Clean Touch Services qualified handymen instead of a general contractor. 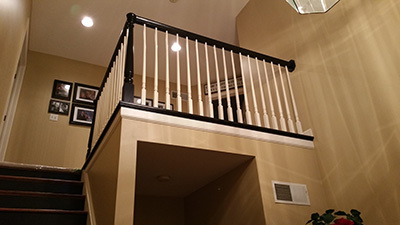 Whether you need electrical, paint jobs, plumbing, flooring, remodeling, carpentry, repairs or closet organizing systems, make one simple call to or email inquiry. We will respond to your inquiry with a friendly phone call the same day or within 24 hours. Contact Clean Touch Services, and we'll arrange a suitable time to discuss your needs. The homeowner can either ask for a quote over the phone if it's a simple repair or request a site visit from one of our certified and pre-qualified staff. We strive to make our customers feel comfortable and emphasize in our staff training that communication is a key component in our success. At Clean Touch Services our service to you, the customer, is our number one priority.